John was born in Longford. 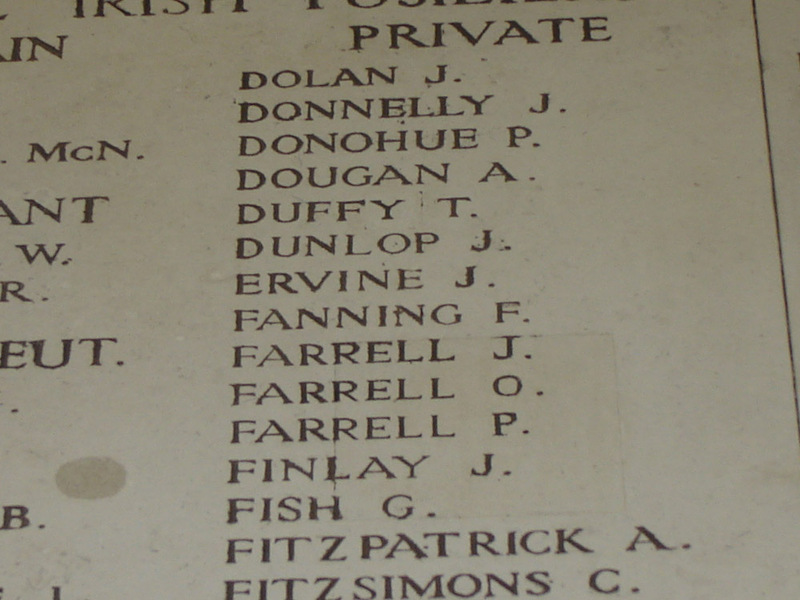 Farrell enlisted in Boyle Co. Roscommon in Dec 1911 and became part of the 4th Battalion with the Connaught Rangers. When Pte. 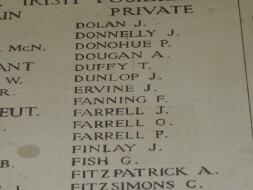 Farrell was called to the front in Oct 1914 he was now part of the 2nd Battalion. He was later killed in action likely during the first Battle of Ypres. John's brothers Lewis (Louis) and Francis also fought in the Great War. Francis became a POW, but was released at the end of the war, but sadly Lewis died in 1918. Son of Patrick Farrell and Mary (née McHugh) of 4 Cottage, Richmond St., Longford. Pte. Farrell received the Victory and British War Medal in March 1920.